Buy this shirt and receive a IGN Joseph shirt shampoo for free! 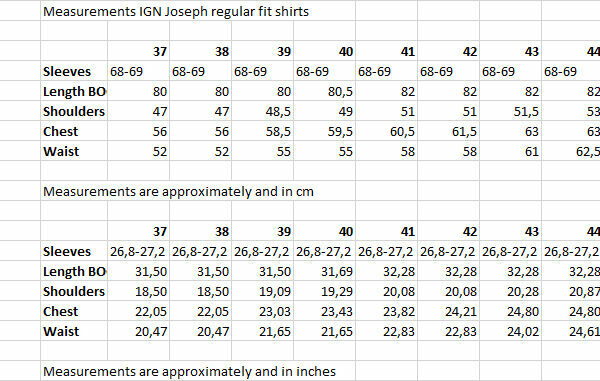 This IGN Joseph striped shirt is limited available. You cannot find this shirt anywhere elso (and for this price)! We are proud to have this brand in stock from mid 2019. 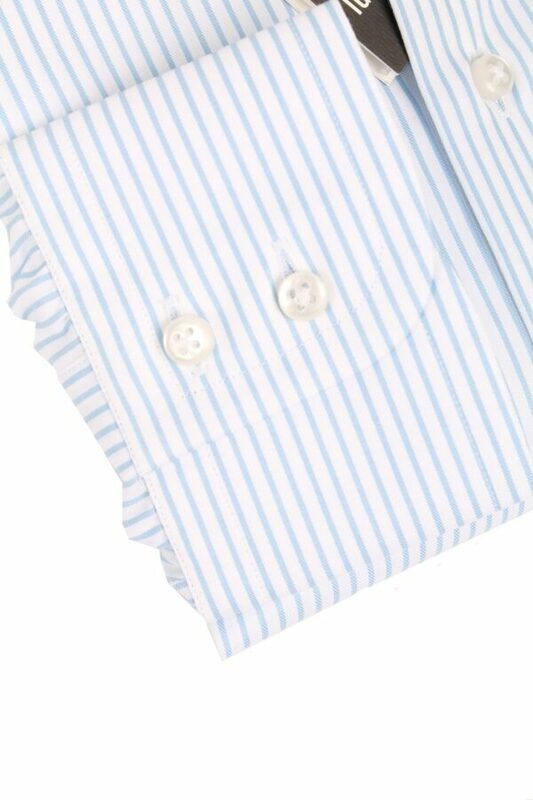 This striped shirt has a regular fit and long arms (68-69cm) for each size. That means that it does not differ if you wear a size 38 or 45, both have the same sleeve length. It is made from a high quality cotton fabric and has a small twill pattern. 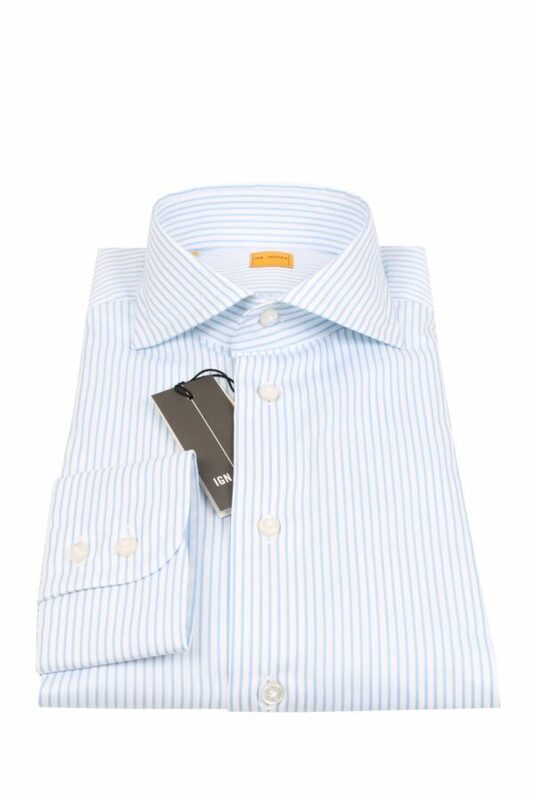 Last but not least, this IGN Joseph striped shirt will be delivered in a luxury box. 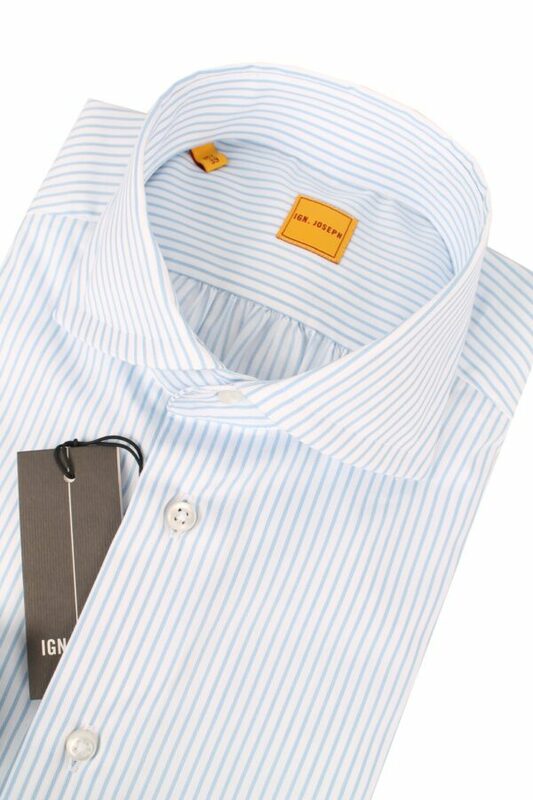 IGN-Joseph luxurious shirts are made in Italy. 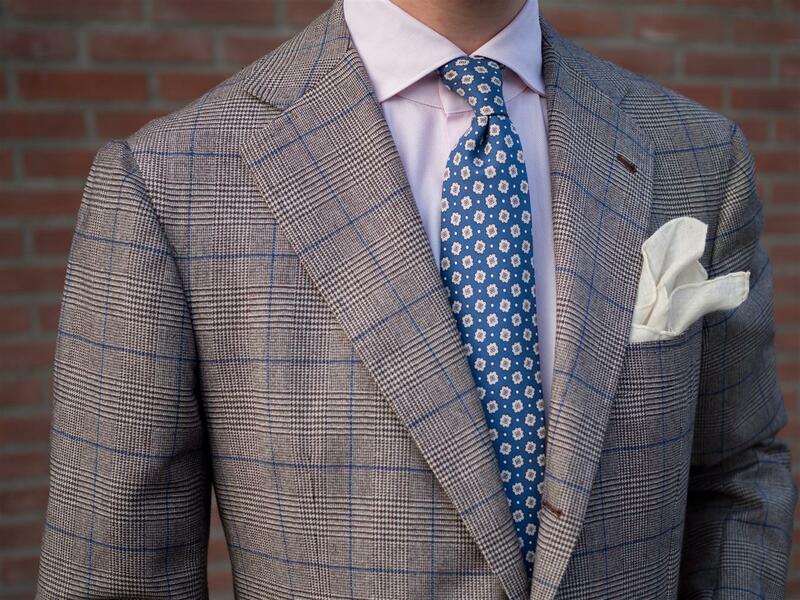 With using the fine fabrics, like Egyptian cotton that is woven in Italy and sewn by Italian craftsman. Buy a IGN Joseph shirt and receive a Shirt Shampoo for free!